Montano with Trinidad's own 2008 Olympic Silver Medalist (Men's 100M), Richard Thompson, also known as the world's second fastest man. Montano with DJ Laz at Miami's POWER96 on Wednesday, October 15. Montano freestyles on The DJ Laz Morning Show on Miami's POWER96 on Wednesday, October 15. Montano performs for thousands of Miami Carnival fans at Socavivor: International Flag Night at Bayside Hut, Key Biscayne in Florida on Friday, October 10. Miami Carnival saw an explosive celebration of Caribbean music and culture in South Florida, spanning Ft. Lauderdale to Key Biscayne, from October 8-14. 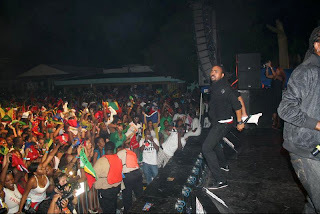 Thousands traveled from the U.S and Canada, the Caribbean and even Europe to relish the sun and the sounds of the Southern Caribbean, and mainly, the music of Machel Montano, which was enjoyed at the majority of Miami Carnival festivities. Montano with band mates Patrice Roberts, Farmer Nappy, Zan and the HD Band, were the main attraction each day of Miami Carnival, and participated mostly together at key Carnival events, including Girl Power, Socavivor: International Flag Night in Key Biscayne, University Fete in Ft. Lauderdale, HD Miami and Last Lap in Miami. But Montano caused an explosion beyond the boundaries of concert venues, as he was the featured guest on selected radio stations to introduce their mainstream audience to his artistry. 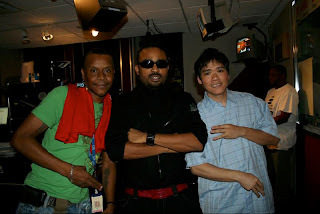 First on 99 Jamz, Miami's only hip-hop/urban station, Montano jived with Patrick Ewing and Waggy Tee on their Friday night show, The Bashment Explosion, on October 10. Then Montano was the studio guest for The DJ Laz Morning Show on Miami's POWER96 on Wednesday, October 15, bringing a fitting end to his presence in Miami. 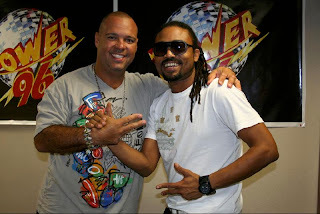 POWER96, a pop mainstream station, rarely plays any kind of Caribbean music in their programming, but saw an impact from listeners as text messages poured in and were read over the air by DJ Laz, thanking the station for including Machel Montano in their programming and representing for all the island-listeners in the South Florida region. 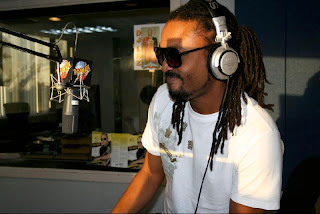 Montano will now journey to New York to pick up an award from BETJ, after he was voted as the "Best Caribbean Entertainer of the Year," beating out the likes of Elephant Man and Mavado. 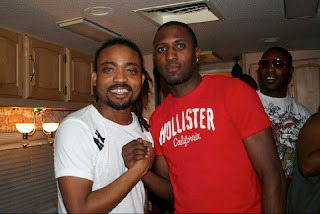 After that he will head to Dominica to perform with Sean Paul at The World Creole Festival in early November, then heads to Trinidad for the annual COTT Awards, where he's nominated for four awards in total on November 6, 2008.